UpFront with NGS: So many genealogical societies have FB pages -- so little time! 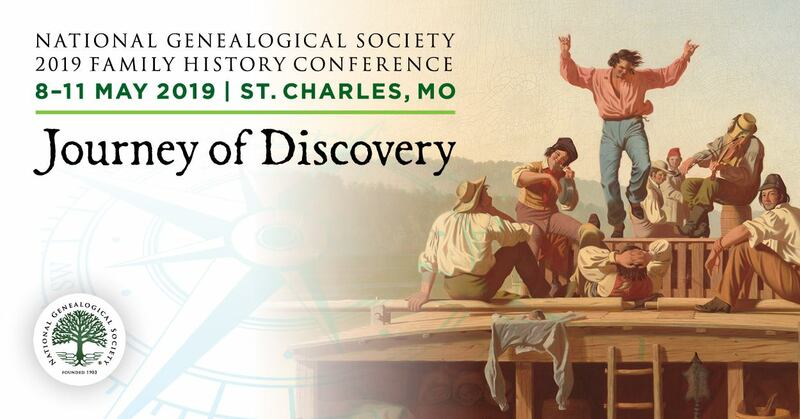 So many genealogical societies have FB pages -- so little time! I just spent some time on Facebook (I typically try to “limit” my time on the site to a few minutes early in the day and a few minutes later in the day ). For a lark, I decided to search on the term “genealogical.” I was pleasantly surprised to see that many many “genealogical societies” now have a Facebook presence. Check out the images showing just a “fraction” of the societies I found listed. As you can also see, I have “liked” only a few. Part of that is relevance to the research that I do and part of it is there are only so many minutes (cough hours) in the day that I can spend on Facebook. Don’t forget that NGS has a Facebook page. In fact, every post from this blog is cross-posted to this Facebook page. Are you on Facebook? If so, besides access to the news of genealogical societies and related services, why are you on Facebook? For someone who has not yet joined Facebook, from a genealogical and family history perspective, why might they join? I have found tons of "cousins" on Facebook - one was a 75 year old 3rd cousin who was my "breakthrough" in finding the name of the Lithuanian village of my unnaturalized ancestors... He had lots of photos, stories and he invited me to his home (6 hours away from me) for my first real Lithuanian home cooked meal (my mother was taken away from her parents at age 5 and never knew anything of her Lithuanian heritage). I look after the FB page and blog for the Kur-ring-gai Historical Society (which incorporates the Family History Group). There aren't' many other Australian Societies with a presence on Facebook.